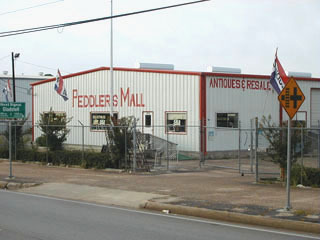 Peddler's Mall, LLC., in Conroe, Texas wants to help you with collecting and remembering the past. We carry fine American and European antiques, collectibles, and reproductions, as well as recycled items such as books, toys, household articles, and office furniture. We are also now carring items made from reclaimed wood. Come by and browse through the wide variety of merchandise that we carry. You will be surprised at our great values and low prices. At Peddler's Mall you can be assured of getting good quality and value. Please be patient while we build the product database, in the mean time you can browse our Take a Look section. Photos in Take a Look have been updated, so please take a look at the new items. Please call to verify we are open before coming to see us.